During his medical training, Dr. Pendell received extra training in gastrointestinal health, cardiovascular and pulmonary disorders, men’s health and hormone balance, as well as musculoskeletal complaints and pain management. His approach to healing utilizes a myriad of modalities including pharmacotherapy, botanical medicine, homeopathy, physical medicine, the highest quality dietary supplementation, as well as nutrition and lifestyle counseling in order to provide his patients with a higher level of wellness and better quality of life. Formerly, Dr. Pendell was a middle school science teacher as well as Science Department Chair for eleven years in Phoenix, AZ. His interest in healing came naturally; his great-grandfather and four great-uncles were all acclaimed doctors and practiced medicine well into their 80’s, one of whom delivered the Anderson quintuplets here in Portland in 1973. 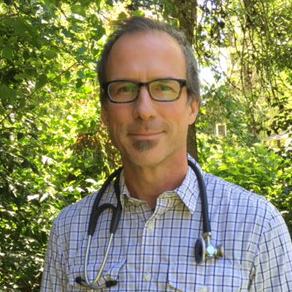 When he’s not seeing patients, Dr. Pendell enjoys reading, playing guitar, running, hiking, biking, drinking espresso, eating amazing food, and exploring the wonders of Oregon with his beautiful family and friends, including his two Australian Shepherds, Millie and Bronco. Dr. Pendell looks forward to working with you to achieve your long-term health goals, and to helping each and every patient experience healthful, vital longevity, utilizing the latest medical knowledge and diagnostics along with proven naturopathic remedies.